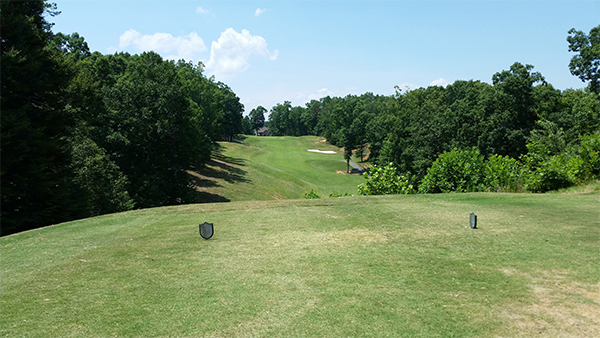 This 346 yard Par 4 features a beautiful elevated tee shot to a welcoming fairway. Your second shot to the three tiered green requires good shot placement according to the pin location. hit enough club on your second shot to allow for the uphill carry. 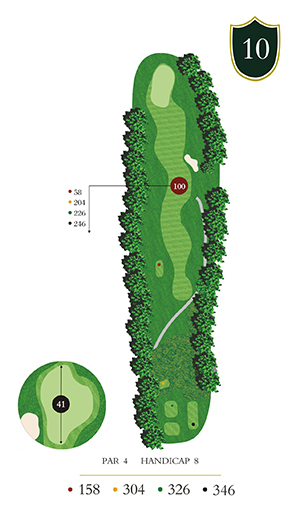 Many golfers will find an errant putt running off the green and back to the approach.